Nanoil Hair Oils – all-natural revolution in hair care Nanoil Hair Oils – all-natural revolution in hair care – Be even more beautiful! You walk into a drugstore, you take a glimpse at the two gigantic shelves of hair care products and you have no idea what to choose. So far, finding one product for all the problems was impossible. Owing to revolutionary approach, which has been revealed by Nanoil hair oils for various types of porosity, we know today that the word ‘impossible’ does not exist. When it seemed that it was impossible to think of anything reasonable in the field of hair care, three types of Nanoil hair oils have appeared on the cosmetic market. The only products matched to the porosity of hair, or in other words, the condition of its external structure (cuticle). Today, they conquer the hearts of women around the world and become number one in professional beauty salons. 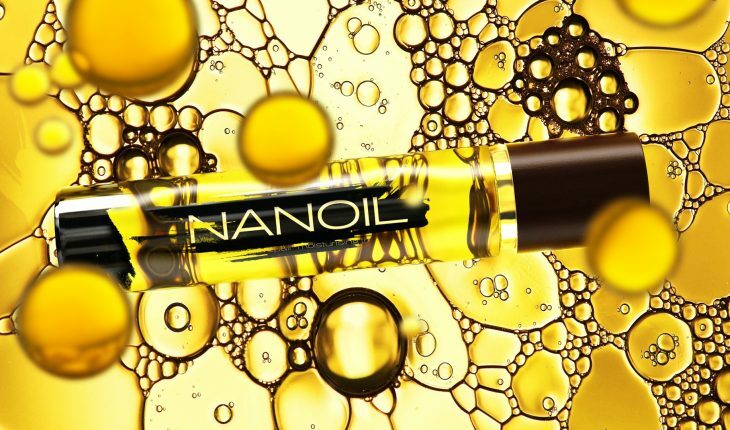 Three formulas, sixteen vegetable oils with the best action and a set of additives supporting their performance – it is Nanoil. Discover its stunning properties. What is hair build of? Its basic component is keratin (that can be found in Nanoil hair oils) combined with smaller amounts of mineral compounds, melanin and fats. Even their slightest proportion disorders, such as: too little fatty acids, may lead to worsening its condition. That is the answer to the question asking why it is so important to provide strands with fatty acids and perform oil hair treatments. Nanoil hair oils matched to various types of porosity are the perfect solution for hair care not only because they provide EFA in the form of oil. Those are products that also deliver nutrients and are fee of silicones and parabens. What influences the effectiveness of Nanoil hair oil? They are based only on all-natural components which structure is similar to the natural construction of our hair and skin. Many vegetable oils, that can be found in Nanoil contain squalene – a natural component of human sebum. If you are looking for a product that perfectly fits to the specific structure of your hair, has an in-depth action, and does not weigh hair down, then Nanoil will be your best option. Especially that in this case, you will not pay excessive prices for an all-natural hair care product. We are well aware of how important is to take care of hair from the outside and the inside. It is also worth remembering to take care of the scalp, where healthy and strong hair has its beginning. If you do not provide the best nutrition to strengthen the bulbs, we cannot count on visible and long-term effects of treatment. It turns out that until now, no one has come up with a product that would have beneficial influence on the source of the problem with hair. Usually, we need separate cosmetics for moisturising, separate for the scalp, different for strengthening and boosting hair growth, against hair loss, styling primers, providing protection (such as heat protection). Each of the three Nanoil hair oils provide all of this in one application. All this thanks to a careful selection of all-natural oils. Nanoil for various types of hair is a true revolution in the field of hair care. Why? Nanoil hair oils are developed in a way to match different types of porosities and all resulting downsides instead of focusing on single problems. As long as hair oiling was not as popular, almost no one knew what the porosity of hair is [while it determines the degree of how high the scales on the outer layer of hair are raised, or the level of their destruction]. Thanks to Nanoil hair oils, we are first time able to say that we can learn how hair is built and what is involved. Hair no longer has secrets for us, and finally, the care is effective, deep and multidimensional. Why three oil? In terms of porosity we can distinguish three types of hair that have a different appearance and varied problems. 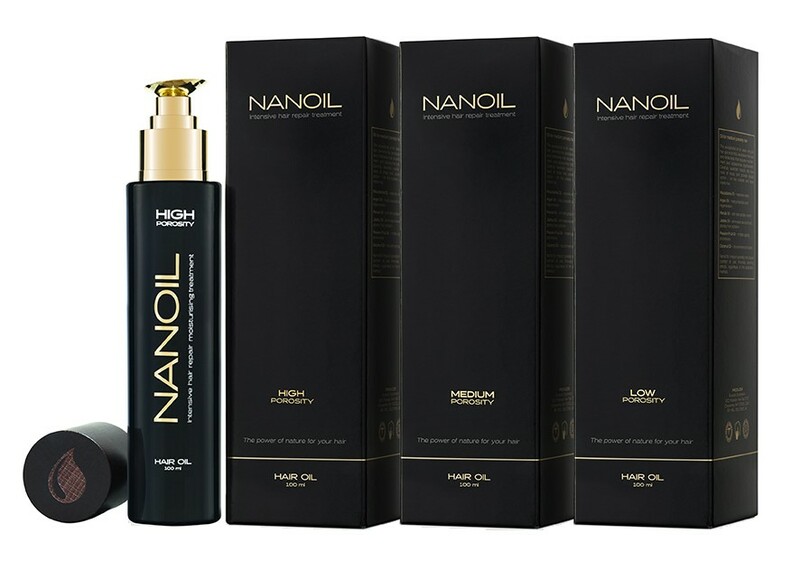 Therefore, there are three versions of Nanoil hair oils available. Each of them is equipped with a particular set of natural vegetable oils that were matched accordingly to the previously mentioned fatty acids necessary for effective hair care. The version of Nanoil for low porosity hair has nine natural oils – coconut oil, castor oil, cupuacu butter, shea oil, cedar oil, monoi oil, babassu oil, maracuja oil – and six additional components. It ensures proper hydration of the scalp and supports the processes taking place within it. Its formula is enriched with UV filter, therefore, provides comprehensive protection against damaging factors without weighing hair down. hair that is resistant to styling finally gains volume, and is easier to comb or curl. Nanoil for low porosity hair restores normal pH of the scalp, strengthens the roots, and thanks to kerastim and baicapil, it stimulates hair growth and prevents excessive hair loss. The second oil presented by Nanoil has been created for medium porosity hair, the most common type. 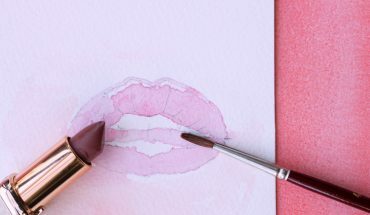 The formula of this oil contains six perfectly matched oils – maracuja oil, jojoba oil, coconut oil, marula oil, macadamia oil, argan oil – and the same amount of substances to support their action. The product solves most problems commonly associated with this type of hair: perfectly moisturises, strengthens the roots, eliminates dandruff, adds flexibility and prevents frizz. Thanks to kerastim and baicapil it prevents hair loss, boosts growth while the UV filter protects strands from harmful weather conditions. Nanoil for medium porosity hair leaves hair silky soft (owing to the content of silk) and shiny. Regenerating and moisturising: Nanoil for high porosity hair. The most intensive treatment is the one that is provided by Nanoil for high porosity hair – the most damaged type. Also, it combines six natural oils – argan oil, evening primrose oil, sweet almond oil, avocado oil, cotton seed oil, maracuja oil – their effects are strengthened with nine valuable additional components. Hair gets the maximum dose of hydration and nutrition and is perfectly strengthened, thanks to keratin – rebuilt. The cosmetics provides effective regeneration, prevents hair breakage and protects sensitive tips, which have the tendency to split. UV filter provides protection, lanolin prevents water loss, and the silk adds softness and shine. Nanoil for high porosity hair soothes the scalp, seals scales and regenerates hair from roots to ends. Baicapil and Kerastim inhibit excessive hair loss and accelerate growth. sounds good, but this is expensive pleasure. this is why I prefer oils like Nanoil because are lighter and easier to wash down. Moreover, it can be applied on dry hair and I don’t see it happenin’ for castor oil..